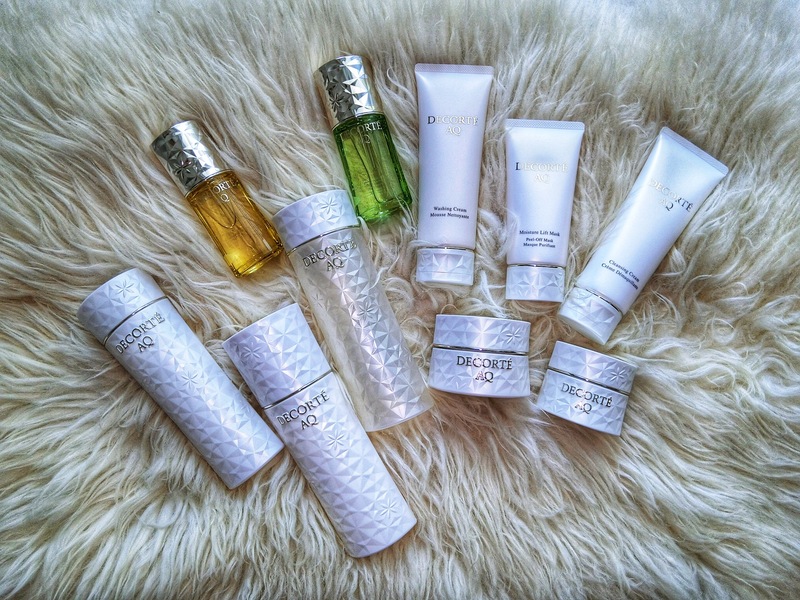 Luxury skincare transports you to another realm of calm, quiet, and comfort after a long day. The Japanese label Kose’s new Decorte AQ (Absolute Quality) range does just that. Launched in 1990, AQ was created as a premium range in the Kose Cosme Decorte stable. The textures and scents are formulated to relax the mind, and boost the effectiveness of the skincare ingredients. The latest products all contain white mucuna known to boost energy and reduce stress levels; white birch sap for its healing properties; as well as the night-blooming cereus for its exceptional white floral scent that takes anyone to a blissful state. Indulgent, soothing, and easily absorbed by the skin, the 10 products in this line are perfect for a home facial session before bed. Dim the lights, put on a scented candle, and get that night beauty ritual going. AQ Lotion (S$148) with white birch water and glycerin. Lightweight and keeps the skin supple and soft; good as the first step in the beauty ritual. Or just add a splash on the face when you don’t feel like wearing too many skincare products. Also available in an Extra Rich version for mature skin. AQ Oil Infusion (S$148) blended with black Tanba soybean extract. This oil is lightweight and watery, perfect as a serum or blending into liquid foundation to make it more moisturising. AQ Botanical Pure Oil (S$225) has a richer texture, so it is great for colder and drier climes. Add it into you cream to give skin that extra TLC in fall and winter. Made with organic olive, jojoba, and safflower oils, as well as kukui nut oil and squalene. AQ Cream (S$298), a melting and indulgent cream that wraps the skin in a layer of moisture and goodness of anti-wrinkle adenosine, hydrating glycerin, white mucuna extract and white birch water.